Do You Believe in Book Fairies? You voted & choose a wonderful book for us to experience Egypt! 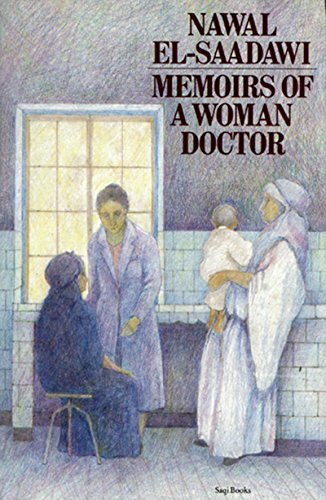 Join us as we see through a woman doctor's eyes with an Egyptian autobiography written as fiction. Officially, we'll begin reading the book on October 1st so you have time to get it in advance. You have till the end of October to finish the book before we begin the discussion. "Rebelling against the constraints of family and society, a young Egyptian woman decides to study medicine, becoming the only woman in a class of men. Her encounters with the other students - as well as with male and female corpses in the autopsy room - intensify her search for identity. She realises that men are not gods, as her mother had taught her, that science cannot explain everything, and that she cannot be satisfied by living a life purely of the mind. After a brief and unhappy marriage, she throws herself into her work, becoming a successful and wealthy doctor. But at the same time, she becomes more aware of the injustice and hypocrisy in society. She comes to find fulfillment, not in isolation, but through her relationship with others. This novel will enhance Dr. Nawal El Saadawi's international reputation as a writer of power and compassion, deeply committed to the rights of Arab women." Older PostLibraries with Non-resident Borrowing Privileges!